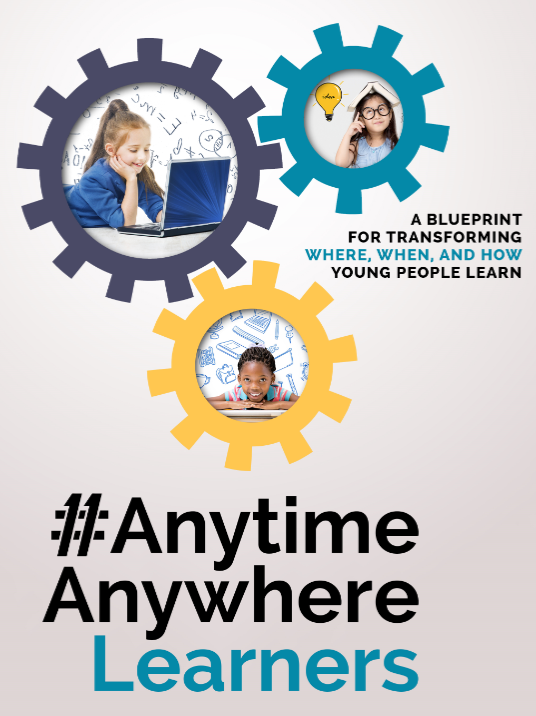 On this page, you’ll find some additional tools to use with the #AnytimeAnywhereLearners framework. As the Anytime Anywhere Learning Foundation develops new tools, these, too, will be made available here. In moving forward how will you know what progress you are making? Here are some questions that you can use as a starting point when developing your Evaluation Plan. Each of these indicators require careful consideration. The criteria you use must clearly and accurately reflect the shared meanings of concepts you have developed in your school and/or district. Remember, this is just a starting point. It is important that you add any other indicators that you feel will help you evaluate how your initiative is progressing. How will you determine if you are achieving your goals and that these goals are helping you achieve your vision? How will you assess the effectiveness of your professional learning programs? What indicators might you consider are suitable for identifying a shift in practice? How will you know if the digital environment is contributing to students becoming more self-directed in their learning? What will be your priorities to ensure the program will be sustainable over time? How will you determine the effectiveness of your communication plan across all stakeholder groups? How will you evaluate your Evaluation Plan? Is it providing the information you need?